The team that made blockchain cute with CryptoKitties, have raised $12 million through venture capital funding. CryptoKitties took the community by storm last November, creating severe congestion on the Ethereum network as users traded customizable cats and bred their own hybrid species. Since its launch, CryptoKitties has gained more than 1.5 million users, and accrued over $12 Million worth of sales. Top cats, often affiliated with crypto celebrities, have sold for more than $200,000. 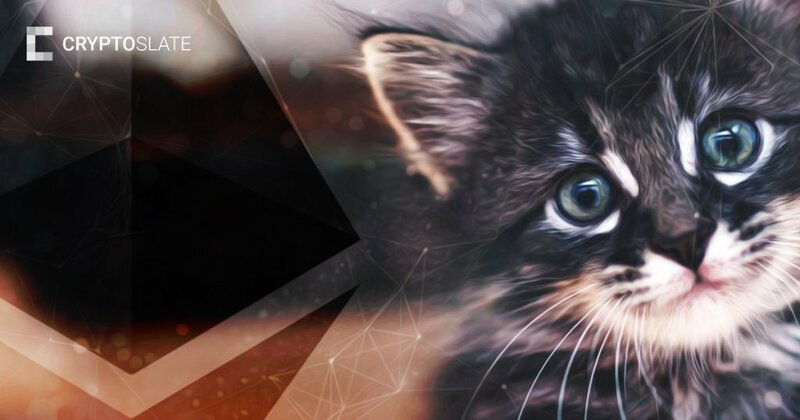 Despite a decline in activity over the past few months, the game is still one of the most popular Ethereum DApps, and the collectible cats have retained their value. The funding round was led by venture capital firms Andreessen Horowitz and Union Square Ventures, whose portfolio includes a variety of tech companies such as Coinbase and Airbnb. They will join other investors including Fred Ehrsam (former founder of Coinbase); Naval Ravikant (CEO & founder of AngelList) and Mark Pincus (co-founder of Zynga). The team has seen rapid development, and in January partnered with Garfield Developer Animoca Brands to launch CryptoKitties on mobile in China. The wily cats managed to evade regulation by being categorized as a “cryptocollectible,” rather than a security. This meant the app could be launched in China despite a nationwide ban on cryptocurrency trading. We envision a world of play, one without limits. Where ownership is real, and the things you create and discover, you can keep forever. Where games can be entire economies, unlocking mutual incentives for players and builders to extend the gaming experience.